Ronan Keating has often been dismissed by some in the Irish Show business establishment, more comfortable with the old guard traditions of Irish rock or folk stars rather than glamorous handsome pop singers such as Keating. In truth he is part of a long and distinguished tradition of pop singers which Ireland began to produce as far back as the Showband era in the late 1950s and 1960s. Many of these artists who had highly successful careers domestically in Ireland (such as Joe Dolan, Dickie Rock, Red Hurley and Johnny Logan etc) are directly comparable with Ronan Keating. All sang pop rather than rock and all focussed as does Keating on entertaining their audience rather than preaching social change. Ireland’s mass light entertainment pop industry in the 1960s and 70s is not endorsed or praised in the official versions of Irish music history, anymore than Boyzone & Westlife’s success story is today. In short Ireland’s rock and folk establishment are not comfortable with Pop and never have been. In the UK the co-existence of rock with Pop finds more widespread acceptance thus Keating has conquered that market cleverly and with relative ease. Louis Walsh (in reality a brilliant and visionary pop music mogul) is largely derided in the Irish Press for his ‘poor musical taste’ not acknowledging that he has made Ronan Keating the First Internationally successful mainstream Irish male pop star and steered the careers of Boyzone and Westlife into the premier league of pop stardom. Ronan’s Grand Canal Theatre concert was as perfect a pop performance as can be achieved in a live setting with competent vocals, excellent visuals, outstanding musicianship and above all a commitment to entertain the audience who already know the problems they face and who go to shows like Ronan’s to forget their problems for a few hours and simply enjoy themselves. His set was flawless if somewhat predictable but the big change in Ronan Keating these days (apart from his overly buffed muscles) is the huge improvement in his voice. The one thing that cannot be faked in a live setting is the vocal and Keating has listened and learned from many years of boyband practice how to both sing competently and indeed soar to the higher range when required. Those who have said in the past that Ronan Keating cannot sing very well should listen to him sing live now and also to his more recent solo Albums (Songs for my Mother and Winter Songs) so well showcased in this excellent live set. His growing maturity as an artist and his improved and more confident vocals make these truly impressive and well produced pop albums. 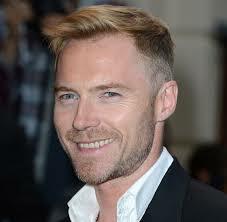 Ronan Keating has grown up and come of age as a performer to be reckoned with for the long hall. I enjoyed his show as did everyone present. He has become a great and professional entertainer. In an era when so many of his contemporaries have faded his survival alone in the cutthroat world of showbusiness is a small miracle. Clearly he is one very determined guy. Labels: Ronan Keating - Time to take him 'seriously'?